By David Futrelle, editor, WeHuntedTheMammoth.com. I’ve spent the last eight years chronicling some of the angriest white men in America, watching as the rising "alt-right" took many of the most backwards notions about women from men’s rights activists and their ilk and worked them into their own hateful, racist, misogynistic spew. 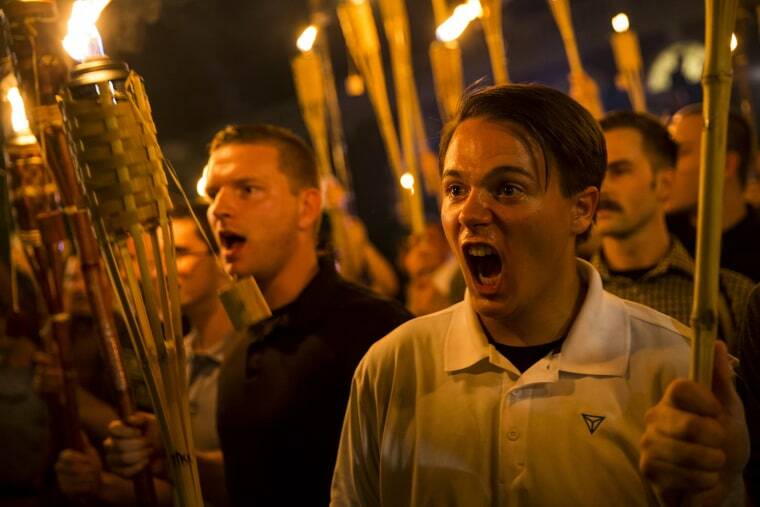 Many in the overwhelmingly male-dominated "alt-right" despise women — including white women — at least as much as they hate immigrants and Jewish people. This intersection of sexism and racism is the origin of the phrase "white genocide": The "alt-right" believes not that they'll all be murdered, but that women will cease to bear lily-white children if the increase of interracial marriages and interracial children continues. This laughable fear is also why many "alt-right" men pitch fits over even the slightest symbolic acknowledgments that interracial relationships exist, growing outraged over depictions of interracial couples in ads for everything from condoms to sweatpants. But even laughable ideas can have consequences. Just as aggrieved sexual entitlement has driven some incels to murder sprees, the related fears of black and brown men (sometimes spoken of openly, other times as more coded fears of non-white fertility), have long inspired violence, murder and draconian, racist immigration policies. There's a reason Trump began his campaign accusing Mexican immigrants of being rapists; and there's a reason that it worked. David Futrelle is the editor of WeHuntedTheMammoth.com. His work has appeared in numerous publications, including TheCut, Broadly and the New York Times.